The Ann and O.J. 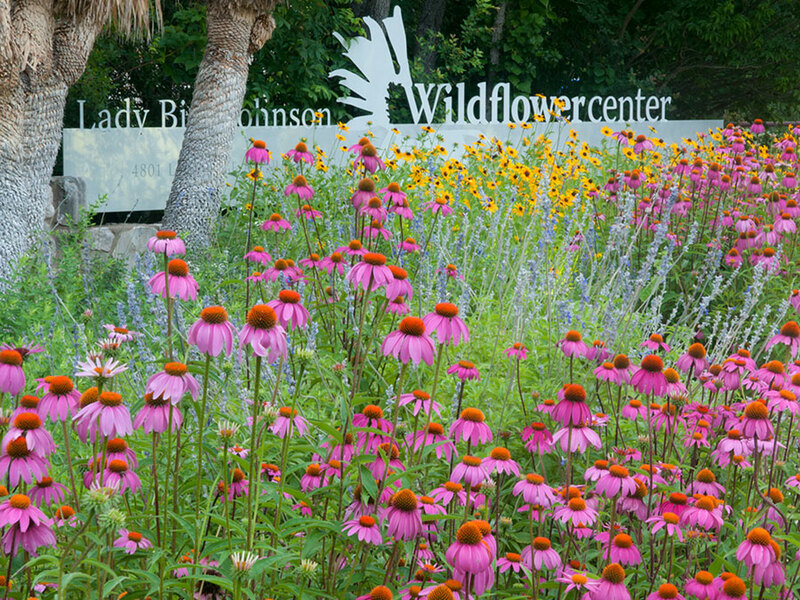 Weber Butterfly Garden is a generous gift from the O.J. and Ann Weber Family Foundation Fund of the Greater Houston Community Foundation. This garden, designed by Judy Walther of Environmental Survey Consulting, demonstrates the codependent relationship of plants and insects, and the critical role of pollinators in sustaining biodiversity. How is this butterfly garden different? Unlike enclosed butterfly “house” displays at some botanical gardens, this garden is an outdoor butterfly habitat. 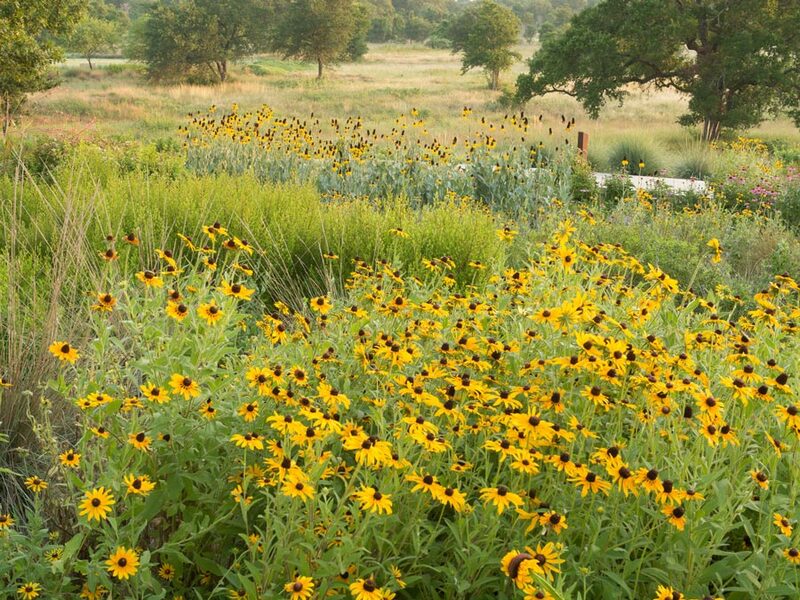 It is designed to attract and sustain insects by using a diverse range of plants that are native to the Texas Hill Country. Some 300 different plant species, arranged in specific plant habitat communities, create a healthy ecosystem for butterflies and other invertebrates throughout their life cycles. What can homeowners learn by visiting? This garden is designed to demonstrate a biological system that homeowners can create right in their own backyards. Just by changing the combination of plants in a garden, homeowners can participate in protecting, restoring and managing natural habitats. Urban backyards can provide an important corridor between patches of habitat in the urban areas for butterflies, other invertebrates and many vertebrates. Carefully placed benches, walking paths, and shaded areas allow visitors the opportunity to quietly observe the activities of busy butterflies, dragonflies and other insects. Interpretive signs designed for both children and adults explain butterfly activity, butterfly and plant identification, and plant habitat. Plant habitat communities include: shallow & deep soil; low & tall thickets; deep water with submergent and emergent plants; marshy pond edge; shallow wetland seeps; wet weather swales;wet & dry vine habitats; thin soil cactus & succulent habitats; woodland edge; dry & wet woodland. An Insectary, a small structure located next to the garden, will allow us to raise butterflies in a protected, enclosed environment that will be free from birds, wasps, and other predators, thus “boosting” their numbers in the garden. Once the insects have pupated (chrysalis phase, which is a less vulnerable condition), they will be placed in eclosion boxes (screened-in frames that will protect the chrysalis) in the garden where they may emerge into adult butterflies and fly freely.